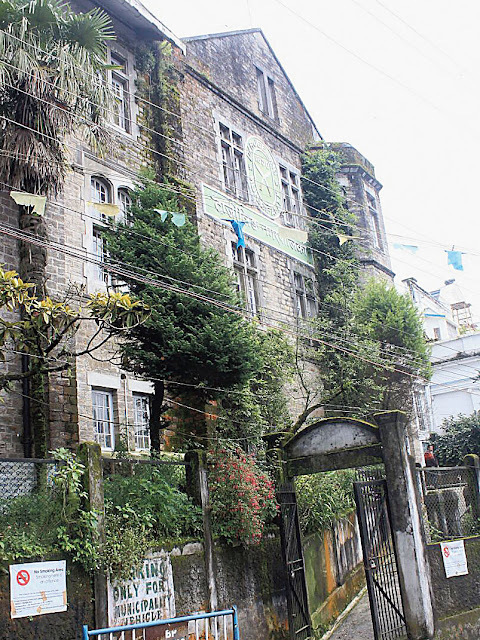 Darjeeling: Darjeeling municipality has decided to provide a three-day window to political parties and social organisations to remove flags and banners after the end of their events. The decision has been taken to ensure that the sky of Darjeeling is kept clear as it has been noticed that both parties and social organisations are reluctant to remove flags and banners even after the end of the programmes. Prativa Rai, chairperson, Darjeeling municipality, said: "We have noticed that there is a general reluctance among all political parties and social organisations to keep their flags and banners for days after the completion of the events." The civic body, however, decided to set a specific dateline. "Flags and banners are usually strung a day or two before a particular event. We have decided to give a three-day window for their removal. If any organisation fails (to dos so), the civic body will remove them and the expenses will be sent to the parties concerned," said Rai. Apart from charging expenses from the parties/persons concerned, the municipality is also thinking of levying additional fine, said Rai. Chowrastha, the most famous square in town, and its adjacent areas are favourite spots to put up banners in town. "We are not only taking about Chowrastha but all 32 wards in Darjeeling municipality," said Rai. To start with, the civic body cleared the town of posters and banners in the last few days. "We cannot, however, do it regularly. We have done it once and we appeal to all concerned to take the responsibility. We are not trying to be harsh but we only want to make an appeal to all that everyone must contribute in their own ways to keep our town beautiful," said Rai. It is a trend, especially among parties, to put up "chain festoons" covering large stretches of the town. Such "chain festoons", which at most times, are made of plastic, are kept there for long. The Jana Andolan Party has, however, started a culture of removing posters and flags soon after its public meetings are over. The party, which has support mostly in Kalimpong, has undertaken the exercise a couple of times in the past. Darjeeling municipality has decided to provide a three-day window to political parties and social organisations to remove flags and banners after the end of their events.